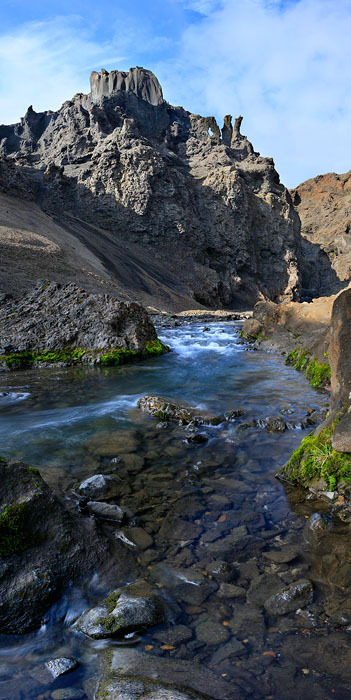 Drekagil (Dragon Ravine), near Askja, Iceland. There are many dragons in the rocks in this ravine, but this one is my favorite, with its eye being the rock arch, it's 2 horns on it's snout, its broad back fin in the center, and its tail with a single spike on the left. Photo © copyright by Johnathan Ampersand Esper.